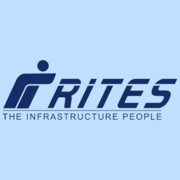 RITES Ltd Recruitment 2019 - Job notification for GM (S&T) Post in RITES Ltd, Bangaluru, Karnataka on Deputation Basis. Applications are invited by RITES Limited on or before 24 Apr 2019 for 1 vacancy. The officer would be required to work on Signalling & Telecom works m Railway project/siding project involving Electronic interlocking Quad & OFC communication, Axle counter etc. The officer would also be required to continuously liaison with Railway staff and officials on a constant basis for technical approvals, local approvals to carry out the works etc. Eligible candidates may send their application in prescribed format (attached below) to administrative officer (HQ/Board) on or before 24 Apr 2019, along with No Objection, Vigilance/DAR clearance and ACRs for the past 07 years.